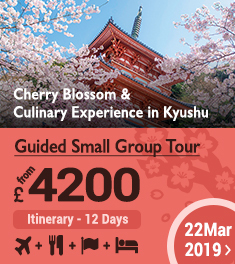 - English and Japanese speaking tour conductor, along with Japanese mountain guide. Tackle Mt. 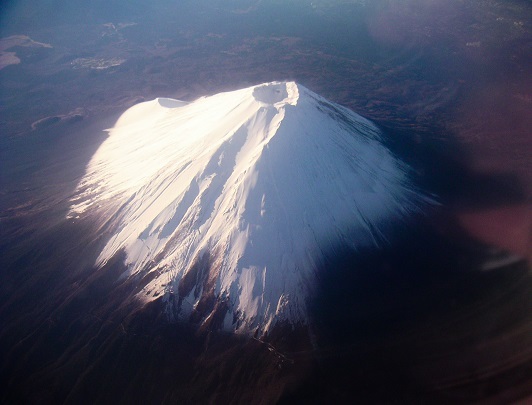 Fuji's challenging slopes this summer with an English-speaking guide! Begin your hike in the afternoon, grab a quick rest at the 7th station mountain hut, then arrive at Mt. 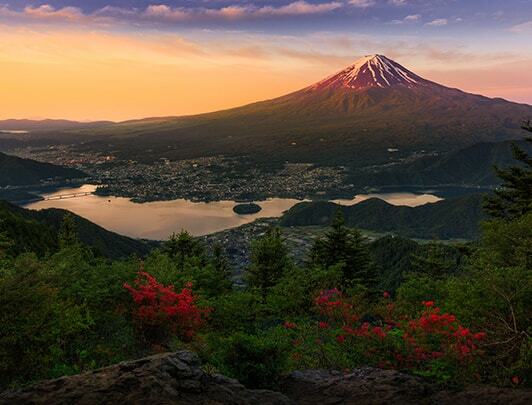 Fuji's peak just in time to see the sunrise! 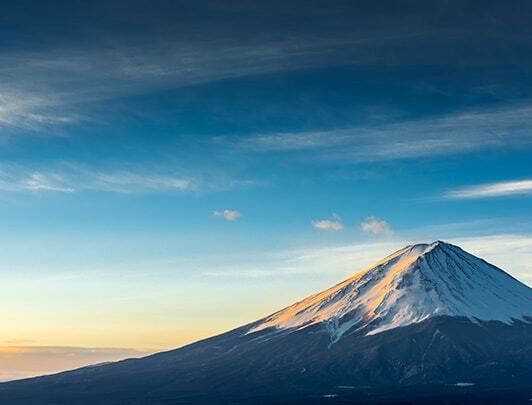 Experience Japan's national symbol up close by climbing from Mt. 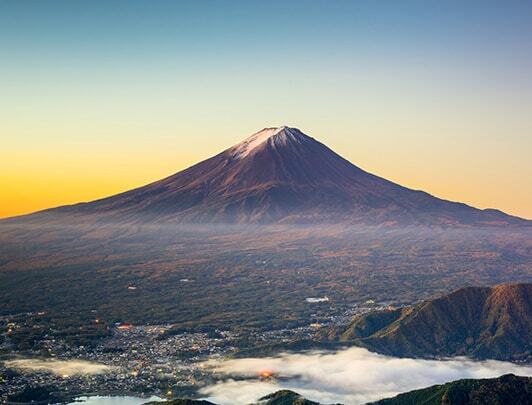 Fuji's 5th station to its peak, where you'll see the sun rise over Japan. You'll begin your hike up the iconic mountain shortly after arriving at Mt. Fuji's 5th station by bus from Tokyo. This tour also includes a chance to rest at one of the popular mountainside huts at the 7th station before departing for the final leg of your journey to the top! 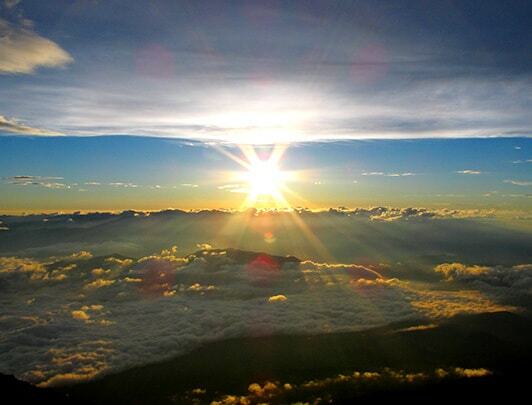 Your hard work will pay off as you watch the sun dramatically rise over Japan from the highest point in the country. On the way back down you'll have a chance to relax and soak away the aches and pains from the climb in a Japanese hot spring, or ryokan. From the bath, you'll get a great view of Mt. Fuji itself. Truly a once in a lifetime opportunity. 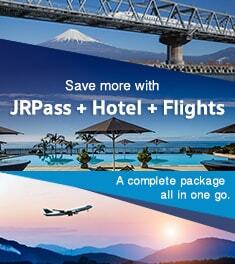 Gather at Keio Plaza Hotel Main Building, 3/F Guest Relations Desk. Walk towards Shinjuku Metropolitan Government large parking lot to board bus for Mount Fuji (90 mins). Upon arrival, participants are free to take lunch on their own and prepare for the climb. Note: Bags cannot be left on the bus. Instead, you may leave them at 5th station Rest House at your own risk, free of charge. 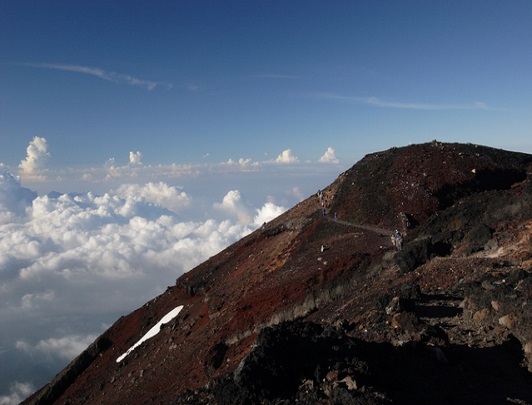 The group will begin to climb on the Yoshida Trail from Kawaguchi 5th station at 2,304 meters. The group will take a short sleep break at a mountain hut approximately 2,910 metres above sea level. Note: Accommodation consists of bunk beds with a mixture of male and female occupants. Hamburg steak set meals will be served for dinner. If you would like a vegetarian menu, please request at the time of booking. Note: The 2nd day's breakfast of pancakes will be given to each participant before departing the mountain hut. The group will climb to the summit from the mountain hut for about 5 hours. 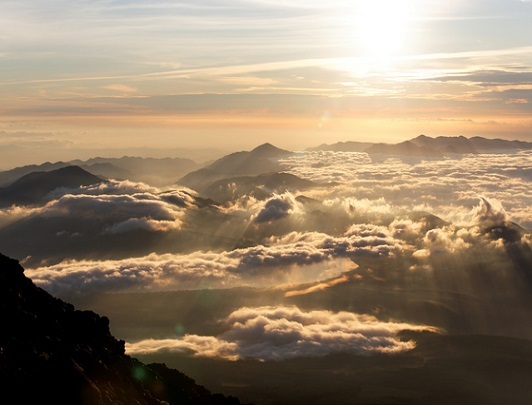 Enjoy the most amazing view of the sunrise from the summit at 3,776 metres and walk around the crater with a guide (90min.). 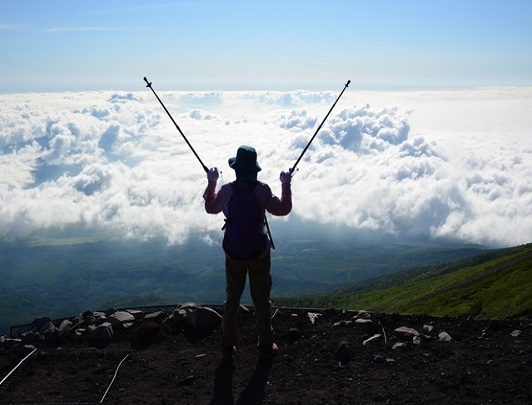 Only the Japanese-speaking mountain guide may be present during the walk around the crater. Please eat your breakfast at the summit. Group starts to descend via Yoshida Trail towards Lake Kawaguchiko (240min.). After returning to the 5th station, the mountain climbing is over. 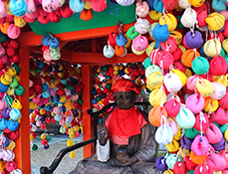 Please retrieve any baggage and get on the bus which will take you to Yamanaka Onsen. Note: Yamanashi Prefecture regulations prohibit people with tattoos from bathing in hot springs. Customers with tattoos are unable to bathe at Benifuji-no-Yu. 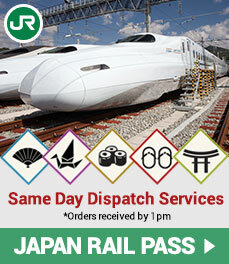 Tour disbands near JR Shinjuku Station West Exit. Please return to your next accommodation on your own. * The elevation at the 5th station is about 2,300m, and 3,000m at the 7th station where the tour will shortly rest to sleep. The peak of the mountain is at an altitude of about 3,500m, where the temperature often falls under 5°C, and the temperature difference between the 5th station and the peak is sometimes more than 15°C. Take precautions for cold weather by dressing appropriately. * Take precautions to avoid altitude sickness, which can occur as the air thins at high altitude, such as getting enough sleep the night before the tour, and repeatedly check your physical condition while climbing. * The purpose of this course is to see the sunrise from Mt. 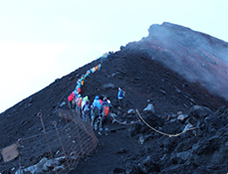 Fuji, so all participants will climb to a mountain hut accommodation above the 7th station on the first day. Participants may be unable to see the sunrise from the mountain due to weather or crowding on the mountain path, but please understand that these will not be accepted as reasons for a refund. * Generally the tour will be carried out even in the case of rain, but in the case of bad weather at Mt. 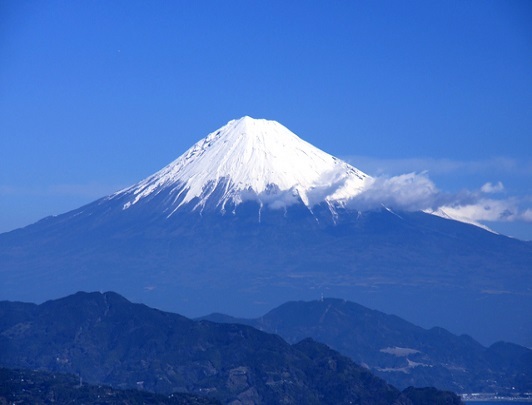 Fuji the guides will determine whether to halt the tour with first consideration to safety. Also, the above times, climbing time, route, and arrival times may vary greatly depending on weather and crowding conditions. * An English interpreter guide will accompany you throughout the entire tour, and a mountain climbing guide (speaking Japanese only) will also accompany you from the 5th station to the peak and back. * This is a shared tour with Japanese tourists. An English-speaking guide will accompany Sunrise Tours customers. * The mountain hut accommodation consists of a mixed men's and women's room with bunkbeds, and less than 1 mat of space per person (about 1m by 2m). There are no bathing-facilities at the mountain hut, and non-flushing Japanese-style toilets are available outside. * If you are late for the 2nd day departure from Mt. Fuji Lake Kawaguchi 5th Station (around 11:30, to be determined on the 2nd day of the tour), you will be responsible for the transportation costs to your next destination. * Vegetarian requests are available. Please make a request at least 5 days in advance. Changes may not be made on the day of the tour. Thank you for your understanding. Dinner on Day 1 will be Hamburg steak set meals, and breakfast on Day 2 will be pancakes. Participants can order additional drinks and food at the mountain hut at their own expense. * Children 5 years and under cannot participate in this tour. Those between 6 and 15 years old must be accompanied by someone 20 years old or older. 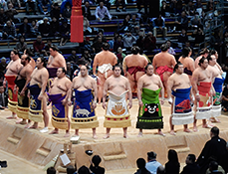 Those between 16 and 19 may participate by themselves if an agreement form signed by their parent or guardian is received by us within 4 days before the tour. * Mountain accident insurance is not included in this tour. 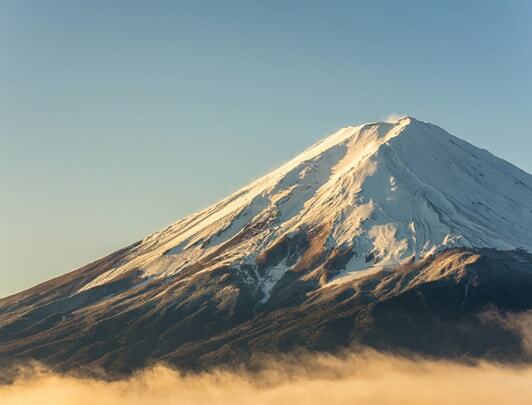 (Customers of non-Japanese nationality are unable to enroll in Japanese mountain accident insurance.) 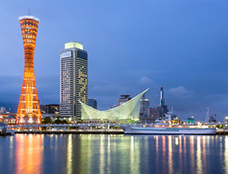 We recommend customers enroll in overseas travel insurance before leaving their country. * The tour may be cancelled if the minimum number of participants is not met within 21 days prior to the tour. 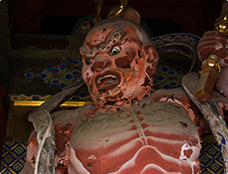 * According to Yamanashi prefecture ordinance, persons with tattoos are prohibited from bathing in hot springs.